From our tinies to our teens, there is something for everyone at CBC. We think it’s really important for our children and young people to feel a part of the whole church family, so each week we spend time all together in the main church service. 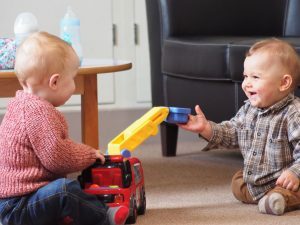 After a time of welcome, worship and Word we invite those under 18 to head out to age appropriate groups. This room is laid out with toys, blankets and beanbags for our youngest members to be looked after and play. 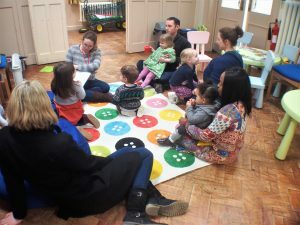 There is also music on in the background to create a really relaxed and calm environment and a story time. The Upper Lounge is right next to the church so Crèche leaders can easily reach parents or carers if need be. time playing together, listening to a Bible story, singing songs and making a linked craft to help parents carry on conversations at home. Drinks and snacks are provided so there is no need to worry about grumbling tummies. We want to encourage and equip our Primary schoolers to live and grow as Christians in all areas of life. 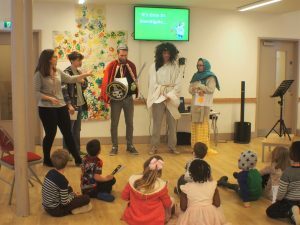 In Rise we play big games, have drama and songs and a time of Bible teaching together before breaking off into small groups (Y R – 1, Y 2 – 3 and Y 4 – 6). The younger ones will think more about the story and have some activities to help them understand while the older ones go deeper into the passage. deep desire to see it grow. 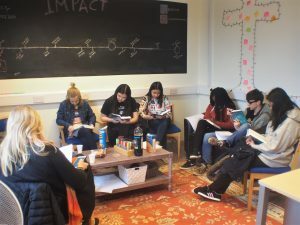 After a time catching up on our weeks, some friendly competition playing games and sharing breakfast snacks, we divide into 2 groups (Y 6 – 8 and Y 9 – 13) where we look at The Bible and unpack it together to see what it has to say about God, us and our lives. If you have a child in Crèche, Ignite or Rise we ask that you could please take them to their group and sign them in. If you are with us for the first time we will ask you to fill out a consent form which can be found here. To see the term card with details of teaching topics for all groups please click here.